Every trader check news during trading. With this small and flexible application users can have up-to-date news on their computers. 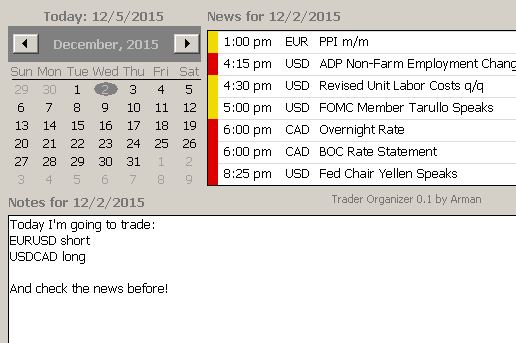 Using notes feature Trader can remember what he want to trade (stocks, currencies) and in which direction. The program is small in size, light an flexible. It update the news in background and can be minimized in system tray. And all this is FREEWARE!